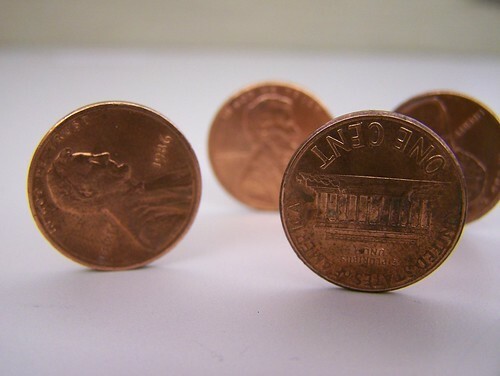 Pennies (307/365) – Annoyingly Boring? Had five pennies in my pocket lined them up on end and took some shots. Poor penny # 5 didn’t make the shot. I like the way your brain works, mister. You think up some pretty good shots. I like how the photo has so much depth to it. I love the DOF on the first penny. This is art, seriously…this could be expanded into a series. It also looks like a photo insert you may see in a financial article from Forbes or Money. I’d like to see more. Hey that looks really cool, you should blow it up and make a poster of some kind, you could send a good message or just have some great art! I would buy it! .-= Jake Walter´s last blog ..Acai 3000 =-.